Quinoa: Quinoa is a botanical that naturally adds body to the hair. It contains a unique chain of amino acids that can repair damage to the hair shaft. It also strengthens and protects the hair. Pro-Vitamin B5: This ingredient rehydrates color-treated or damaged hair. This will prevent split ends and seals in moisture, making the hair look smooth and shiny. Bamboo: Bamboo is great for your scalp. It is filled with silica which improves the circulation to your scalp, encouraging hair growth. Organic Argan Oil: This ingredient is high in antioxidants, fatty acids, and vitamin E. It increases the elasticity of the hair which restores the shine. Abyssinian Oil: This ingredient is absorbed into the hair and gives it boost and shine. Jojoba Seed Oil: This oil mimics the natural oil produced by your scalp. It nourishes the hair and helps it grow. Green Tea and Rosemary Extract: These ingredients are loaded with antioxidants which will protect the hair from environmental stress. Eucalyptus: This ingredient rejuvenates the hair. It is a natural antibacterial and antiseptic, which protects the hair and invigorates the scalp. Women everywhere, even those who don’t work out regularly should try Hair Warrior. This product is formulated with a variety of ingredients that are designed to protect your hair, strengthen your hair, and add shine. If you have damaged or color treated hair, you can benefit from using this product. Using this product regularly will protect your already damaged hair, prevent split ends, and bring back the shine and body to your hair. You cannot find Hair Warrior in stores. If you want to try Hair Warrior, you can buy it at HairWarrior.co. The company’s official site makes ordering easy. You can either by Hair Warrior by the bottle or by the case. After trying the product, one bottle may not be enough. You can also find Hair Warrior on Amazon. I tried Hair Warrior before I worked out. After a workout, my hair gets sweaty and frizzy, and I struggle to get my elastic out. When I used Hair Warrior, my elastic slid right out, and my hair looked amazing. Not only was there no frizz, but it also had body and shine. Typically, I cannot get these results without hours of washing, conditioning, deep conditioning, and styling. Thanks to Hair Warrior, I don’t have to rush home after the gym to fix my hair. This product is amazing! 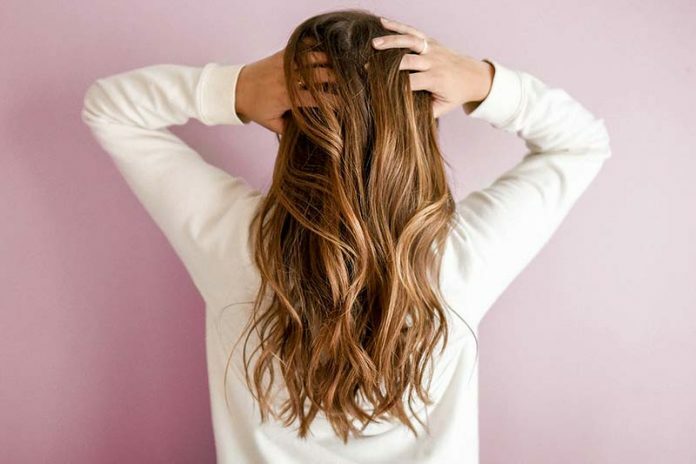 The 5 BEST Tips for Post Workout Hair!